With the latest versions of iOS, the line between the Mac laptops and the iPad tablets are getting blurred. At the same time, iPads, especially the iPad Pros are becoming more powerful. More users are using iPads for productivity and work instead of for just content consumption and play. However, to use your trusty iPad for work, you are going to need to add a physical keyboard. And that is where the Brydge keyboard comes in. The Brydge keyboard has been around for quite a few years now. It started out as a very successful crowdfunding project and it has since matured to become a producer of high quality keyboards for the iPad. They have different versions of the keyboard to match the different iPad sizes from the iPad minis to the 12.9 inch iPad Pro. They also have a line of keyboards for the Microsoft Surface Pro. What makes the Brydge keyboard stand out is how well the design of the keyboard matches the iPad. If you didn’t know better, you would think that the keyboard is a part of the iPad. 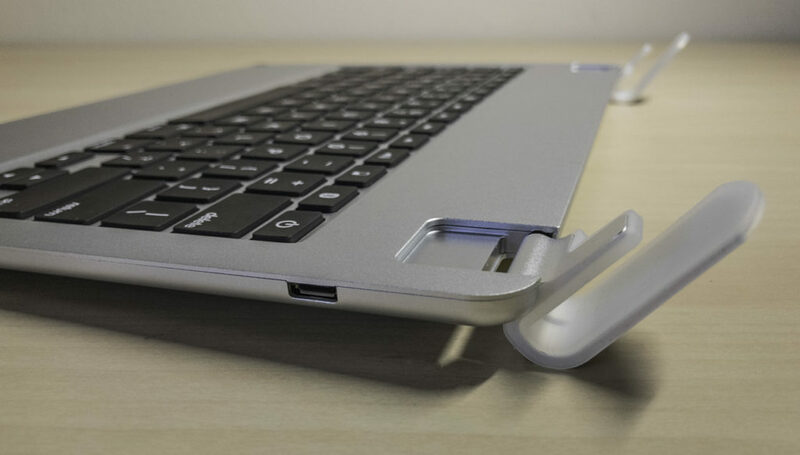 Everything about the Brydge keyboard just screams not just quality, but Apple quality. The size, material, texture and color matches the iPad perfectly. When closed, the edges of the keyboard matches the iPad perfectly, thus creating the illusion of turning your iPad into a MacBook. 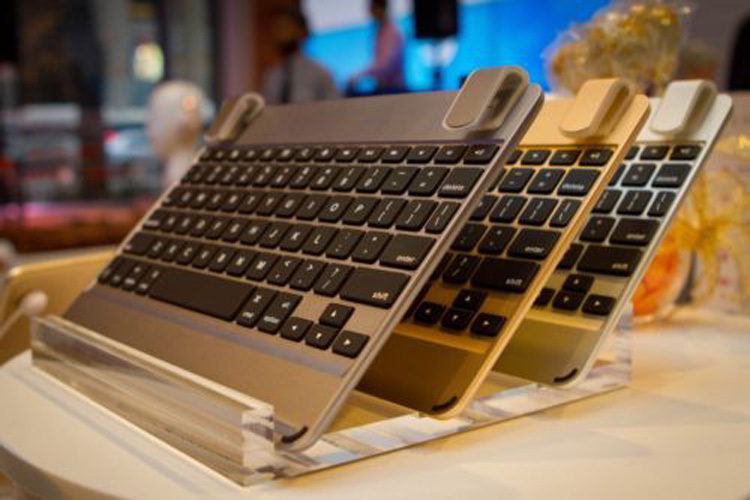 The Brydge is more than just a beautiful looking keyboard. It has all the bells and whistles of a keyboard that comes with a premium laptop. Considering the size of the keyboard, the keys are relatively large and has significant travel. They remind us of the MacBook Air keyboard which also has smaller sized keys. The Brydge features backlit keys allowing for night use. The iPad attaches to the keyboard via 2 clips on the bottom edge. The clips do look deceivingly small and weak. However, they grip the iPad really well and no matter how much we shook it, the iPad didn’t budge even a bit. The feel of the hinge when you open and close the keyboard is really solid as well. 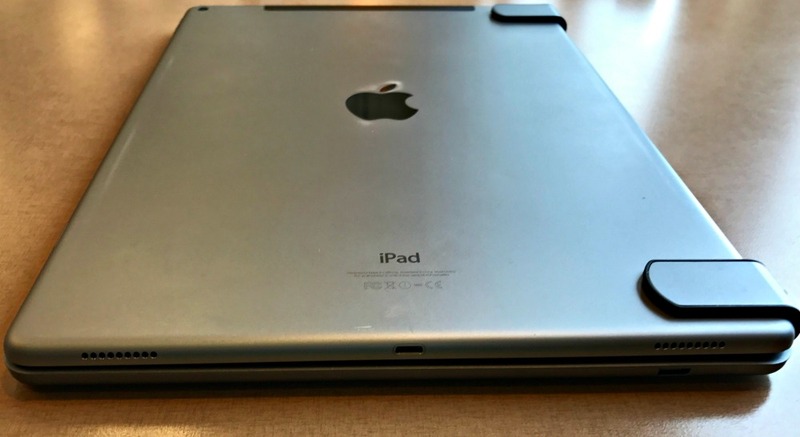 You will have no problem using the iPad with it sitting on your lap like a laptop. 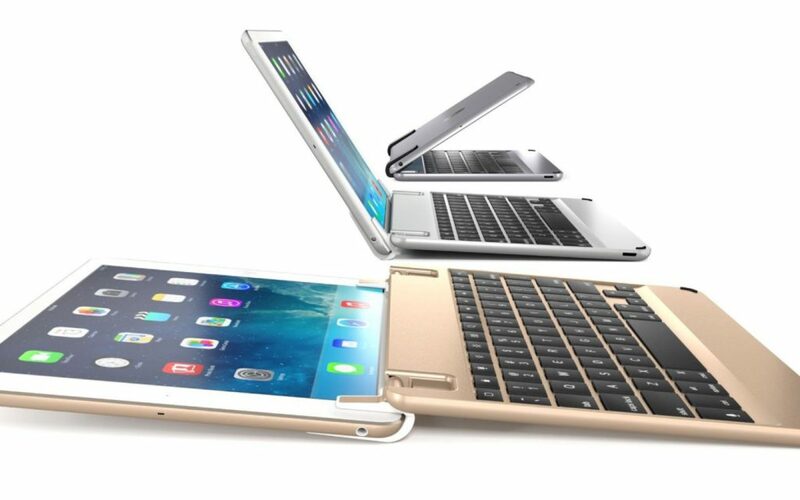 In this regard, the Brydge keyboard actually works better than the official Apple Smart Keyboard Folio. There are a couple of minor problems with the Brydge keyboard. Firstly, the keyboard does not connect to the Smart Connector on the iPad Pro like the Smart Keyboard Folio. This means that the Brydge keyboard has to connect via Bluetooth and have its own battery supply. This also means that you will need to separately charge the keyboard. However, Brydge claims that with normal use, the battery charge on the keyboard should last up to a year. The other minor quibble we have with the keyboard is that it has a micro USB charging port instead of a Lightning port which makes more sense. 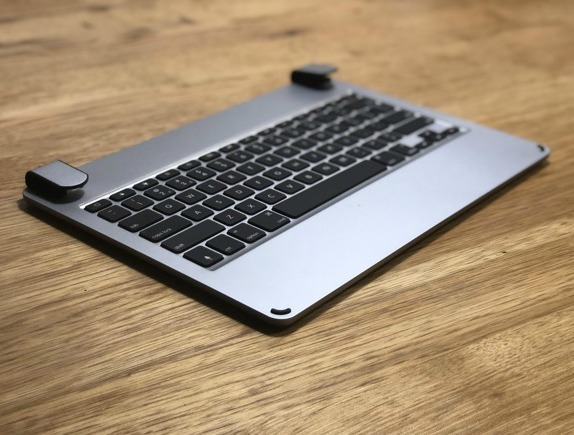 However, the latest Brydge Pro keyboard for the iPad Pro 2018 does come with a USB Type C port that allows for charging and data connection at the same time. The Brydge keyboard is not absolutely perfect but it comes very close to being. More impressively, it even bests Apple’s own competing product in some areas and that is quite an achievement. 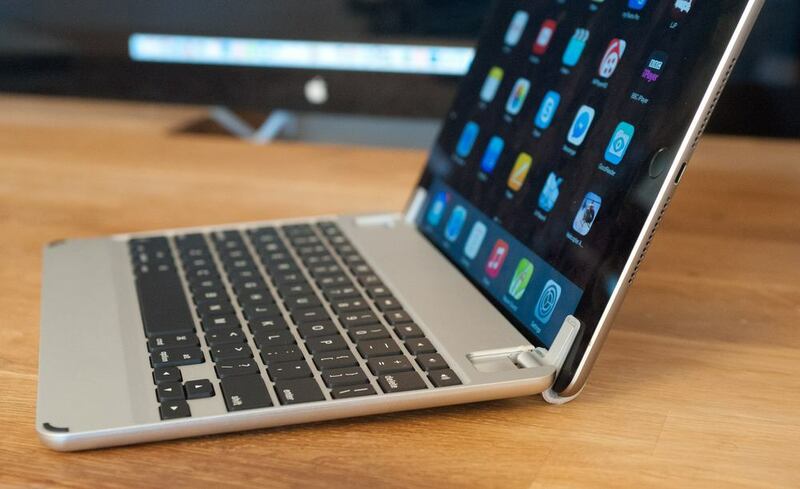 The Brydge keyboard is designed to bring a MacBook-like experience to your iPad or iPad Pro. Get a true laptop experience, with the versatility of an iPad.